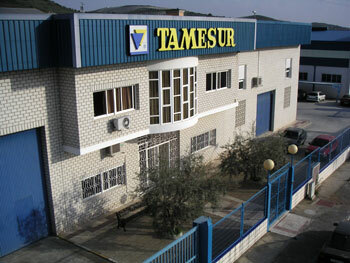 TAMESUR S.A. is a company specialized in the design, manufacture and installation of machinery of elevation and transport. From reception and storage hopper, conveyor belts, bucket and slat elevators, screw and belt conveyors, chain conveyors and separating pulp and olive pomace bones machines. More than 25 years of experience support our professional path and the quality and guarantee of the design, production and installation of our products, certified by AENOR under the ISO Norm 9001:2015. - Reception and storage Hopper.